Fashion is always changing. Some people do not mind to spend their money that they saved for many years only to buy a new iPhone 6 or iPhone 6s Plus just because their old iPhone did not support their confidence. If it happens to you, the first thing to do is to transfer the contact from your old iPhone to the new iPhone. 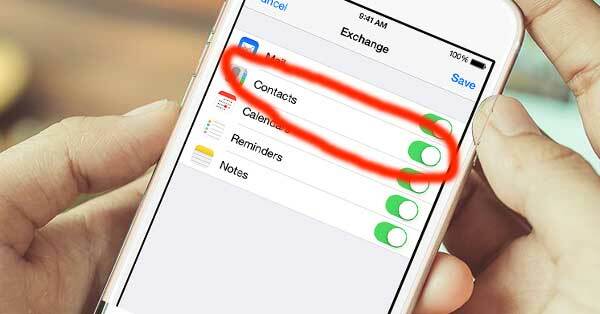 You can use iCloud and iTunes to transfer your contacts. If the reason to export contact is that the initial setup went wrong, you need to transfer the contacts after you have setup the devices. Below are the tips and the methods on how to export contacts on iPhone 6 and iPhone 6s Plus. It is important to sign in to your iCloud account; Log in first to start. Please wait, let the contacts sync. Head over the Phone app and check if the new iPhone got all the transferred contacts. Then, you can send the vCard file as the attachment to your email. Download and then open the vCard. Now, your new iPhone 6 or 6 Plus has all your contacts. It is the simplest method if you do not mind to restore from backup. Back up data from the old iPhone to iTunes, and then disconnect it. Right click on your device that is from the sidebar and choose Restore from Backup. Those are the methods to export contacts on iPhone 6 or 6s Plus. You can read another iPhone 6 tips in here.